It’s no secret to anyone who has been reading for a while that we think the American Express Platinum Edge card is one of the most useful credit cards around for collecting points, with its bonus point earn categories matching well to where a lot of household spend goes, and is one to consider for people starting to look into optimising their frequent flyer points. Amex’s Membership Rewards program being a flexible rewards program offers a lot of transfer partners and gives you a lot of options with where to redeem your points. 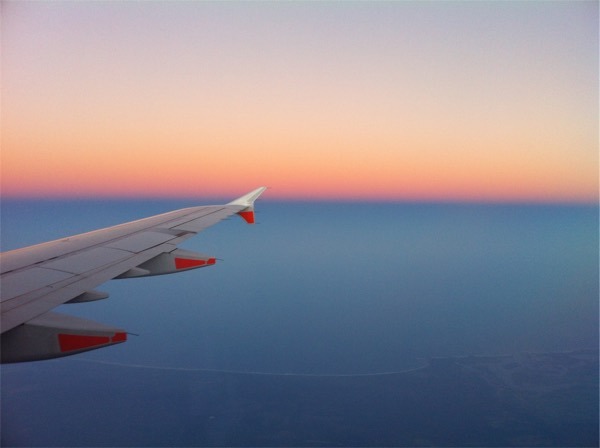 One of the biggest objections, however, I hear from people is that you can’t transfer your points to Qantas Frequent Flyer, and that they prefer to fly on our national airline – but there are ways to use these points for Qantas flights. In many cases, using partner airline points are cheaper on a point-per-point comparison basis than using Qantas Frequent Flyer. Several years ago, Qantas made a commercial decision to stop flexible rewards programs transferring points to Qantas Frequent Flyer (with a couple of notable exceptions of very high end cards such as the Westpac Altitude Business card and the eye-watering $1200 annual fee American Express Platinum Charge ). This means that you either need to sign up for a card that directly earns Qantas points (where the points sweep to Qantas Frequent Flyer on a monthly basis with no choice to you), or a flexible program that excludes Qantas. For many big bank issued cards they offer a choice of Qantas or flexible cards that are roughly equivalent, but this isn’t always the case for other card issuers (including the better Amex cards that earn into Membership Rewards). Even though you can’t transfer these points to Qantas Points, you can still however redeem them for Qantas flights, and often at better value than using Qantas Frequent Flyer! Qantas is a member of the oneworld alliance, meaning that (amongst other things) seats on Qantas flights can be redeemed by their alliance partners. Of most interest to Australian point collectors, Cathay Pacific’s Asia Miles and Malaysian Airlines’ Enrich are transfer partners of Membership Rewards and Westpac’s Altitude. Asia Miles is an option for other Australian flexible programs such as ANZ Rewards. By signing up to one of these programs and converting your points, you can then use this program to book a seat on your preferred Qantas flight. On many flights (particularly the premium cabins that we love to redeem for) Enrich offers some good value for one-way redemptions compared to Qantas. For longer flights, both Asia Miles and Enrich offer better value than redeeming through Qantas Frequent Flyer. Note that the flight mileage bandings shown here are based on the Qantas award chart. As previously stated the other programs have slightly different cutoffs in their bands, but this gives a pretty good idea. Also, Enrich doesn’t offer Premium Economy redemptions, hence they are not shown here. The same notes as the one-way comparison apply here regarding the cutoffs being slightly different for the different programs and the lack of Premium Economy with Enrich. Asia Miles’ program is particularly generous on return fares, with them being priced significantly less than two one-ways as most other programs are. For me to travel cross-country from Perth to the east coast and back to check out Qantas’ new business suites on the A330 would cost me 50,000 MR points (via Asia Miles), rather than 72,000 Qantas points earned on another card. A weekend trip in economy from the east coast to New Zealand would cost me 30,000 MR points rather than 36,000 with Qantas. To travel return business class from Sydney to Los Angeles on Qantas would cost you 145,000 MR points (again via Asia Miles) rather than 192,000 with Qantas. And finally, to do Qantas’ flagship Kangaroo Route from Sydney to London and back in First class, would only cost you 260,000 MR points via Asia Miles, rather than a whopping 384,000 Qantas points from another card. You’ll need to be a member of their programs, so make sure you’ve signed up. Once you have your membership number, you can transfer your points to Asia Miles or Enrich through the points area of Membership Rewards or your bank’s rewards program. When the miles are in your account, it’s time to book! Asia Miles: you can book Qantas flights online through the Asia Miles web site. Enrich: you will need to call the Enrich call centre to make partner airline bookings (13 26 27 in Australia). Factor the inconvenience of having to book over the phone rather than online in when deciding which airline to transfer to (although you can always search for availability through the Qantas or Asia Miles website to find the flights you want before you call). Taxes and charges will be payable in the currency of the home country of the partner airline you’re booking through (Hong Kong or Malaysia), but should be equivalent to the Australian Dollar amount you’d be charged by Qantas for the same redemption. These numbers and considerations are for simple one-way or return flights using Qantas both ways. The Oneworld alliance lets you put together more complex itineraries mixing multiple carriers, but when you do that these numbers may or may not apply because the different programs put different rules in place. For example, Asia Miles lets you use this award chart for a single Oneworld partner (i.e. Qantas) or a ticket with a flight on Cathay Pacific and one other Oneworld airline. Any different to that and you’ll be looking at a different chart with different pricing. Also be aware that both Asia Miles and Enrich miles have an expiry date (as opposed to Qantas where points don’t expire as long as there is activity on the account in the past 18 months). For this reason I wouldn’t stockpile miles in these programs but transfer the amount of points you need at the time you want to make a redemption. Finally, Enrich are particularly bad when it comes to cancellations – you won’t get a refund of your miles. Ouch. Avios are the points currency of British Airways, and there’s a sweet spot in their award chart for short flights that suit many domestic Australian flights (especially up and down the east coast) – with business class flights less than 650 miles costing 9000 avios and 651-1151 miles costing 15,000. American Airlines AAdvantage has a fixed cost of 20,000 miles for any domestic business class redemption, or 25,000 for Trans-Tasman. Being a fixed price, this is expensive for short hops but can be a great option for longer jaunts. Neither of these programs are transfer partners of Membership Rewards in Australia, so it’s not a one-step transfer like the others. First you’ll need to move your Membership Rewards points to the Starwood Preferred Guest (SPG) program, and from there you can transfer your SPG points to Avios or AAdvantage. The calculation is a little bit more complex as well because it’s not a 1:1 transfer rate like the other programs. You convert your Membership Rewards points to SPG at a rate of 2 MR = 1 Starpoints; and when transferring from SPG to an airline program you get a bonus 5000 points for every 20,000 you transfer. For example if you transferred 40,000 MR points this would become 20,000 SPG points which would then become 25,000 Avios once transferred. There is a great guide to using purchased SPG Starpoints to book Qantas flights using Avios and AAdvantage which has all the details, so go and check it out if you have an interest in this option. Note that everything in the AAdvantage column in this table is 40,000 points. This is because domestic Australia requires 20,000 AA miles and Trans-tasman requires 25,000 – transferring 20,000 SPG points gives you an extra 5000 miles for a total of 25,000 – so for a domestic Australian redemption you will have 5000 left over. As you can see, there’s some cases where the extra effort involved in going via the SPG program can save you some points, namely very short redemptions by using Avios, or very long redemptions using AAdvantage. Just because you can’t transfer points from your flexible points program to Qantas, doesn’t mean you can’t use them to fly with them if that’s what you want to do; and with the exception of the shortest one-way redemptions, the value for your points is better off by using partner airlines to book. If Qantas flights are your target, this opens up the option of some of the better credit cards with flexible programs. Jason is based in Perth and travels predominantly for leisure. He has a keen interest in personal finance as well as frequent flyer points, and regularly seeks out the best options for optimising spending and points to be able to travel in style. Thanks for this primer, it was very helpful. One question – once I transfer my points to BA Avios, which site do I use to book an award flight on Qantas? The BA site isn’t helping here. You use the BA site to book using your Avios. 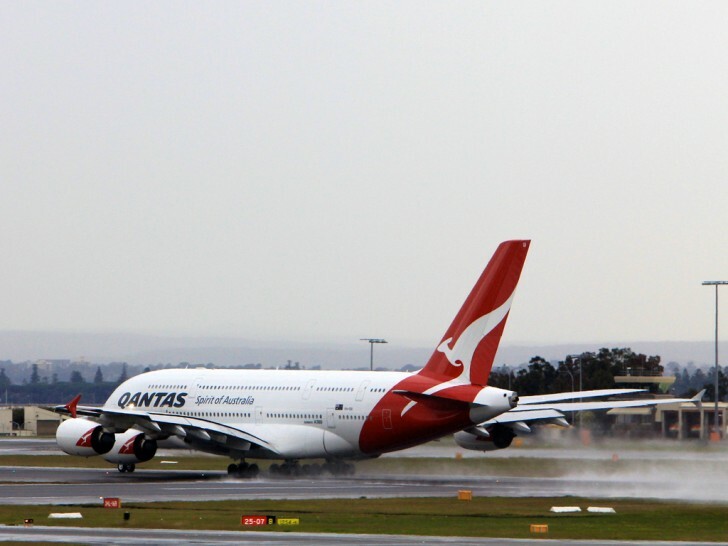 You may not see all Qantas flights on BA.com though, I have found this the case for flights operated by Qantas subsidiaries – for example regional flights or across to NZ. In which case you need to call BA and make the booking. I am looking to go to the UK for a year. This seems like the best option for earning Qantas points, or at least points I can use on Qantas flights, get a UK credit card linked to the BA Avios program! Thanks. I have a question…. do you think you can upgrade a flight booked with Qantas using your BA Avios points? I agree that this analysis is a good start and provides a high level understanding on what’s possible. However, a simple point to point comparison, in my case Qantas FF versus Asia Miles, may not provide a full picture on value comparison. A simple illustration, $1 spent on AMEX Platinum Edge gets 1 MR point which can be converted to 1 Asia Miles point, whereas the same $1 spent on ANZ Black FF AMEX gets 1.5 Qantas FF points. So depending on the achievable “earn rate” for various points, one may come to a different conclusion on which “points” to use, even using the same comparison charts provided in this guide. Good point Gilbert – that certainly is something to consider. Qantas points are very easy to earn in Australia with the vast number of promotions and bonuses on offer for all sorts of products and services that you use in everyday life. However, with the Amex Platinum Edge card and typical household spending patterns, you’ll probably find that you average 1.5 MR per $ or higher anyway (given all the 3:1 and 2:1). This makes it more of an even proposition in my books. Very handy guide thanks. Has confirmed that I have made the right decision by moving over to a flexible rewards program/currency (ANZ Rewards – ANZ Black Card) and utilising the better redemption rates and stopover allowances that Asia Miles offers for Oneworld redemptions in comparison to Qantas. Always keen to learn more about the best usage scenarios of overseas programs – keep up the good work Point Hacks! As I keep pointing out to you, CBA allows points transfer to either Qantas or Velocity rewards on many of their cards, and have done so for many years. It would be helpful to your readers if you included this detail in articles like this one. The only cards in the market I’m aware of that allow flexible program transfers to Qantas at will rather than the direct monthly sweep, are the Amex Platinum and WBC Altitude Business cards I mentioned in the article. If you know of any others from CBA (if I missed one) or otherwise I’d be more than keen to hear about them! Hey Lachlan – thanks for you input. As this piece is about how to use non-Qantas points for travel with Qantas, and none of CBA’s cards offer that opportunity, CBA Awards is not worth an inclusion. Point taken on lack of coverage elsewhere on the site but CBA’s offers, and points program offering, are usually not competitive with what else is out there, hence not prioritising coverage of them. That said I do have a CBA Awards guide in the works which should be ready to go pretty soon. Hey Keith – really looking forward to reading this before deciding to cancel my CBA card and look for alternatives, or keeping it if there’s anything enticing enough to.